Etisalat Misr selected EMC’s Federation Enterprise Hybrid Cloud, Software-Defined Storage and All-Flash storage solutions to power IT operations. EMC Egypt and Etisalat Misr announced a transformational IT project to create an agile and efficient foundation for rapid business and customer growth. The telecommunications giant has deployed the EMC Federation Enterprise Hybrid Cloud Solution together with EMC ViPRController software-defined storage and VMware vCloud Automation Center Suite to drive automation and self-provisioning capabilities to enhance service delivery across multiple lines of business. Etisalat Misr has also selected EMC’s VNX-F all-Flash storage array to drive application performance to meet the needs of steadily increasing workloads, while enhancing scalability and availability. Customer Benefits include optimal cloud delivery model fit for business consumption – the EMC Cloud Advisory Service helped Etisalat determine cloud application placement, define cloud architecture to deliver IT as a service, build the business case, assess the readiness for service automation and develop a transformational road map for business and IT. The EMC Hybrid Cloud self-service portal allows users to provision new storage, backup, database and platform services allowing IT teams time to focus on innovation rather than service and support. Storage automation through ViPR Controller has improved storage utilization and significantly reduced operational time. VMware VCloud Automation Center simplifies management while driving cost transparency. VNX-F has enabled Etisalat Misr to improve application performance by 300% and significantly reduced database response time from 8-10 minutes to sub-millisecond speeds. Agility allows IT to provision a blend of private and public cloud environments to support current business applications while enabling the scale to developing next generation applications for the future. 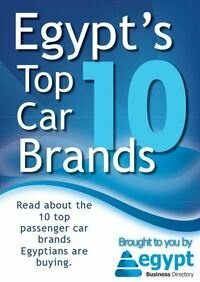 Etisalat Misr continues to be one of Egypt’s leading telecommunication providers offering consumers across the country access to fastest broadband internet connection in the market in addition to a mix of industry leading services. With a clear focus on enhancing customer satisfaction through improved service offerings and delivery, Etisalat Misr aimed to revolutionize its IT backbone powered on IT-as-a-Service capabilities that would enable the agility and efficiency to support its ambitious growth trajectory. 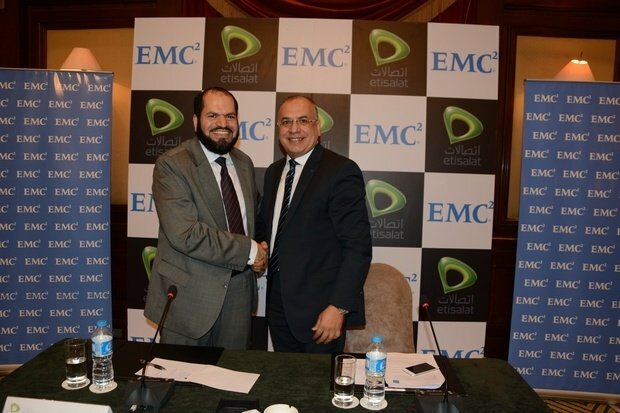 That’s when Etisalat turned to EMC. Senior Business and IT consultants from EMC Global Services helped define the right cloud vision for Etisalat through providing a cloud strategy that met the specific needs of the business, understandingthe current IT capabilities, and rate of change the IT organization could sustain. On that basis, Etisalat Misr selected the EMC Federation Enterprise Hybrid Cloud to seamlessly extend their private data center into the public cloud- using the same tools and processes they already have in place ¬without adding costs or complexity to the existing environment. Built on a combination of industry leading EMC and VMware technologies, the new solution enables the IT team at Etisalat Misr to create a single platform to effectively manage both traditional and next generation applications. With ViPR Controller, the telecommunications leader is able to enable new Storage-as-a-service capabilities to optimize costs and storage without adding unnecessary managerial complexity. Adding EMC VNX-F mid-range flash storage to the mix further enables Etisalat Misr to power application performance to aid availability and service delivery.